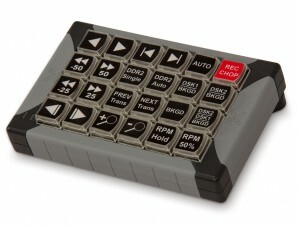 RPM-24 is a 24-key USB controller using our Replay Pro Macro commands to streamline and automate the instant replay process for live sports video production using NewTek TriCaster, also providing advanced DDR functions. 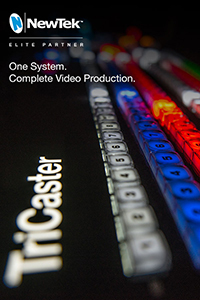 RPM-24 can be utilized by the TriCaster Operator or a dedicated Replay Operator working as part of the production team. 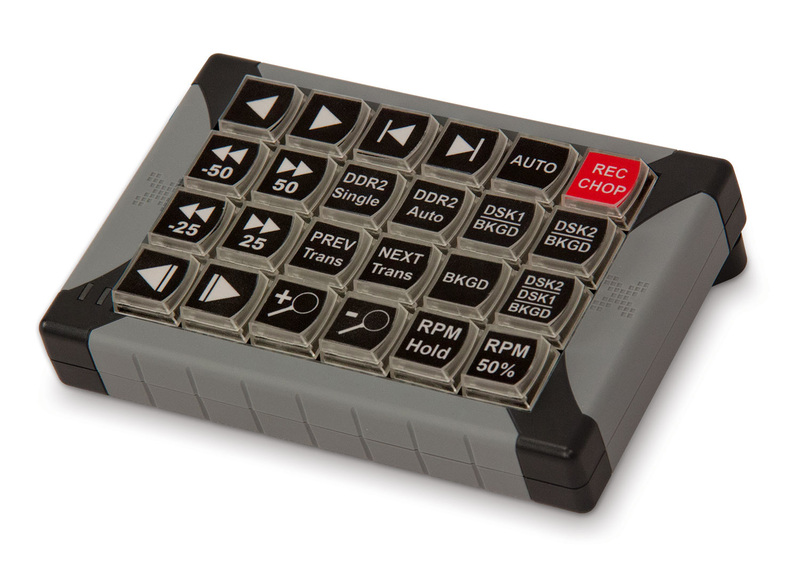 RPM-24 differs from other controllers in that the user has complete control of the replay process without needing to access the TriCaster keyboard, mouse or Control Surface. Replays are set up and executed easily and quickly with one convenient interface, providing consistent results. RPM Replay buttons auto-configure the DDR, speed, audio, and transition animation settings for consistent replay results every time. No worries about whether DDR Loop, Single, or Auto features are correctly toggled for a Replay – RPM does it for you with one easy button press. Ergonomic button placement provides intuitive, precise control of playback speed/direction. Provides instant feedback without the inherent lag of a jog-shuttle when changing playback direction and/or speeds. Instantly switch from any available speed or direction to another. Frame-by-frame and slow-motion functions program DDR2 so that it can’t transition out of replay mode prematurely during footage review. Manual overrides available at any time. One button grabs the replay clip and another initiates a completely automated replay sequence, with animated transitions and slow-motion. Auto-replay at 50% speed (speed preset may be changed by user), or HOLD option readies replay clip for user-controlled playback from paused clip. Uses DDR2 for Replay. Uses Primary Recording channel. (optional) ZOOM feature uses M/E 4 (M/E 8 on 860 and 8000). NOT compatible with older TriCaster models.